Since its independence in 1945, Indonesia has struggled through a daunting array of social, political and economic challenges. Today, the Muslim-majority nation in the world is recognized as an increasingly mature, vibrant democracy. Though many would acknowledge that there continues to be divisions and conflict, Indonesia is a remarkable model of a free, democratic society. It is not uncommon for people to look to founding principles in times of crisis and conflict. During the process of Indonesian nation-building, the leaders acknowledged that such a diverse, island nation would need to have unifying, “self-evident” principles to tie the people together in common agreement. An archipelago nation made up of thousands of islands, with many distinct religious beliefs, cultures, languages, and traditions, it adopted a national motto to live as Bhinneka Tunggal Ika (“unity in diversity”). It is within this context that Pancasila developed to become the State ideology of Indonesia. In the early days of the Republic, these principles were taught in schools under the guidance and direction of the government. Yet, as time and prosperity blurred the need for such education, the Pancasila ideals were less emphasized in recent history. Today, the Indonesian government has now begun to advocate for education on the Pancasila principles. Yet the nation today is markedly different from the one founded over 70 years ago. Today, Indonesia boasts not one but two of the largest civil society organizations in the world, (Nahdlatul Ulama and Muhammadiyah) and we would submit that what was once designated as the responsibility of the nation should now be taken up by the people. This is to say: the Pancasila principles are not simply a matter of government control; Pancasila forms the basis for the freedoms and rights of the people of the nation. Civil society leaders – most notably the faith leaders – must take the lead in educating the citizens to understand that the principles must be understood and applied by the people, for the people as the shared heritage of the people. Furthermore, as one of the largest Muslim-majority nations in the world, a strong, principled and prosperous Indonesian state counters the claim that liberal democracy doesn’t work in a Muslim context. In this way, the strength of Indonesia’s peace and prosperity becomes a testament for free societies everywhere and a model for the global community. 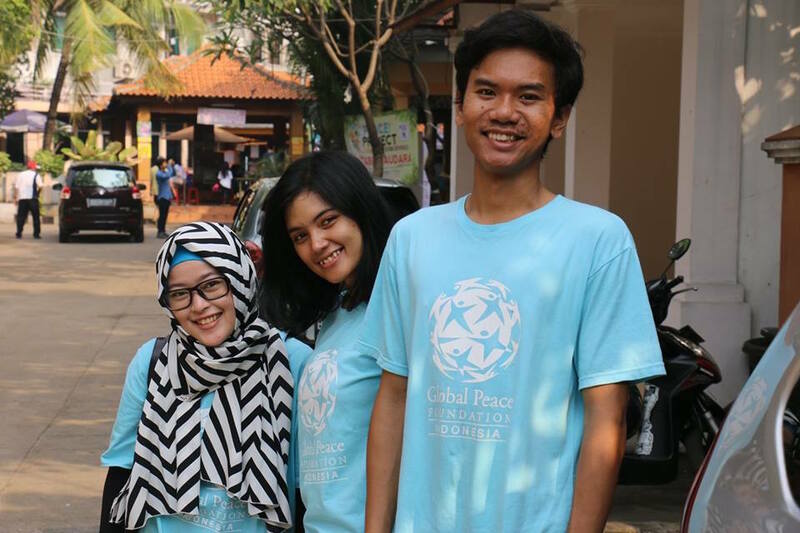 GPF Indonesia, along with its partners, has worked since 2010 to create an interfaith platform from which to engage in community-building in a way that transcends religions, culture, socioeconomic class and more. The service and educational programs aim to foster a spirit of unity as “One Family Under God” as the basis from which to work together towards peace and shared prosperity. This, combined with recent efforts to develop a Pancasila-based interfaith education brings together the elements of heart, mind and body together in building a just, peaceful and equitable Indonesian nation. The original post appears on Global Peace Foundation. Global Peace Foundation is an international non-sectarian, non-partisan, nonprofit organization, which promotes an innovative, values-based approach to peacebuilding, guided by the vision of One Family under God. GPF engages and organizes a global network of public and private-sector partners who develop community, national, and regional peace building models as the foundation for ethical and cohesive societies. Dr. Hyun Jin Preston Moon is founder and chairman of the Global Peace Foundation.